, city (1994 est. pop. 118,000), capital of Tibet Autonomous Region, SW China. It is on a tributary of the Yarlung Zangbo (Brahmaputra) at an altitude of c.11,800 ft (3,600 m). [Sanskrit,=abode of snow], great Asian mountain system, extending c.1,500 mi (2,410 km) E from the Indus River in Pakistan through India, the Tibet region of China, Nepal, E India, and Bhutan to the southern bend of the Brahmaputra River in SE Tibet. , great mountain system of central Asia, between the Himalayas and the Tian Shan, extending c.1,000 mi (1,610 km) E from the Pamir Mts., along the Tibet-Xinjiang border in W China and into Qinghai prov. , Mandarin Chang Jiang, longest river of China and of Asia, c.3,880 mi (6,245 km) long, rising in the Tibetan highlands, SW Qinghai prov., W China, and flowing generally E through central China into the East China Sea at Shanghai. , Chinese Lancang, one of the great rivers of SE Asia, c.2,600 mi (4,180 km) long. From its marshy source (definitively identified in 1994) on the Rup-sa Pass in the highlands of Tibet, it rises as the Za Qu (Dza Chu) and flows generally S through Yunnan prov. , Chin. Nu Jiang, Tibetan Chiama Ngu Chu, river of SE Asia, c.1,750 mi (2,820 km) long, rising in E Tibet region of China, and flowing SE through Yunnan prov. [Sanskrit,=son of Brahma], river, c.1,800 mi (2,900 km) long, rising in the Kailas range of the Himalayas, SW Tibet, China, and flowing through NE India to join with the Ganges River in central Bangladesh to form a vast delta; it is navigable for large craft c.
, salt lake, 950 sq mi (2,461 sq km), central Tibet, SW China. The largest lake in Tibet, it lies at an altitude of 15,180 ft (4,627 m). ..... Click the link for more information. (Tengri Nor) in the east. [Tibetan,=oceanic teacher], title of one of the main leaders of Tibetan Buddhism. Believed like his predecessors to be the incarnation of the Bodhisattva Avalokiteshvara, the 14th Dalai Lama, Tenzin Gyatso, 1935–, was installed in 1940. ..... Click the link for more information. and the Panchen Lama (or Tashi Lama, for the lamastery at Tashi Lumpo), were at least the nominal heads of the Tibetan government. In general, the former administration was equally divided between lamas and the feudal aristocracy. ..... Click the link for more information. (Shigatse), and Gyangzê (Gyangtse). Most other areas of Tibet are suited only for grazing; yaks, which can withstand the intense cold, are the principal domestic animals, and there are also large herds of goats and sheep. Much of the population traditionally was engaged in a pastoral life, but the advances made by irrigation and the growing of forage crops combined with Chinese attempts to spur economic development and relocate Tibetans into new housing developments have reduced nomadism and also increased the urban population. In addition to vast salt reserves, Tibet has large deposits of gold, copper, and radioactive ores. Traditionally, goods for trade, particularly foreign trade, were carried by pack trains (yaks, mules, and horses) across the windswept plateau and over difficult mountain passes. In exchange for hides, wool, and salt there were imports of tea and silk from China and of manufactured goods from India. Motor roads now connect Lhasa with Qamdo (Chamdo) in E Tibet and with Xigazê and Gyangzê in the Yarlung Zangbo area and link Gar (Gartok) in W Tibet to the northern regions. A major highway runs from Tibet to Chengdu, in Sichuan prov., providing a link to the great Chinese cities in the east; Tibet is also connected by highway with Xinjiang and Qinghai in W China. A rail link to Qinghai prov. was opened in 2006.
, 1215–94, Mongol emperor, founder of the Yüan dynasty of China. From 1251 to 1259 he led military campaigns in S China. He succeeded (1260) his brother Mongke (Mangu) as khan of the empire that their grandfather Jenghiz Khan had founded. ..... Click the link for more information. , emperor of China, was converted to Buddhism by the abbot of the Sakya lamasery; the abbot returned to Tibet to found the Sakya dynasty (1270–1340) and to become the first lama to rule Tibet. In 1720, the Ch'ing dynasty replaced Mongol rule in Tibet. China thereafter claimed suzerainty, often merely nominal. , ethnic group of Nepal and neighboring areas. They claim descent from the Rajputs of N India and entered Nepal from the west after being driven from India. They conquered (early 16th cent. , region, 45,762 sq mi (118,524 sq km), E Kashmir, on the border of China. Leh is the chief town. Allied ethnologically and geographically with the Tibet region of China, the area has a predominantly Lamaist Buddhist population. It was nominally a dependency of Tibet. , state (2001 provisional pop. 540,493), 2,745 sq mi (7,110 sq km), India. It is located in the E Himalayas and bordered by Nepal (W), by the Tibet region of China (N), by Bhutan (E), and by the Indian state of West Bengal (S). The capital and only town is Gangtok. 1863–1942, British explorer, b. India. He explored Manchuria in 1886. The following year he journeyed from China to India, crossing the Gobi desert and the Mustagh Pass (alt. c.19,000 ft/5,791 m) of the Karakorum range. ..... Click the link for more information. to Lhasa, which enforced the granting of trade posts at Yadong, Gyangzê, and Gar. In 1906 and 1907, Britain recognized China's suzerainty over Tibet. However, the Tibetans were able, with the overthrow of the Ch'ing dynasty in China, to expel (1912) the Chinese in Tibet and reassert their independence. At a conference (1913–14) of British, Tibetans, and Chinese at Shimla, India, Tibet was tentatively confirmed under Chinese suzerainty and divided into an inner Tibet, to be incorporated into China, and an outer autonomous Tibet. The Shimla agreement was, however, never ratified by the Chinese, who continued to claim all of Tibet as a "special territory." After the death (1933) of the 13th Dalai Lama, Tibet gradually drifted back into the Chinese orbit. The 14th Dalai Lama, who was born in China, was installed in 1939–40 and assumed full powers (1950) after a ten-year regency. The succession of the 10th Panchen Lama, with rival candidates supported by Tibet and China, was one of the excuses for the Chinese invasion (Oct., 1950) of Tibet. By a Tibetan-Chinese agreement (May, 1951), Tibet became a "national autonomous region" of China under the traditional rule of the Dalai Lama, but under the actual control of a Chinese Communist commission. The Communist government introduced far-reaching land reforms and sharply curtailed the power of the monastic orders. After 1956 scattered uprisings occurred throughout the country, but a full-scale revolt broke out in Mar., 1959, prompted in part by fears for the personal safety of the Dalai Lama. The Chinese suppressed the rebellion, but the Dalai Lama was able to escape to India, where he eventually established headquarters in exile. The Panchen Lama, who had accepted Chinese sponsorship, acceded to the spiritual leadership of Tibet. The Chinese adopted brutal repressive measures, provoking charges from the Dalai Lama of genocide. Landholdings were seized, the lamaseries were virtually emptied, and thousands of monks were forced to find other work. The Panchen Lama was deposed in 1964 after making statements supporting the Dalai Lama; he was replaced by a secular Tibetan leader. In 1962, China launched attacks along the Indian-Tibetan border to consolidate territories it claimed had been wrongly given to India by the British McMahon Commission in 1914. Following a cease-fire, Chinese troops withdrew behind the disputed line in the east but continued to occupy part of Ladakh in Kashmir. Some border areas are still in dispute. In 1965 the Tibetan Autonomous Region was formally established. The Cultural Revolution, with its antireligious orientation, was disastrous for highly religious Tibet. Religious practices were banned and over 4,000 monasteries were destroyed. Though the ban was lifted in 1976 and some Buddhist temples have again been in operation since the early 1980s, Tibetans continue to complain of widespread discrimination by the Chinese, and in more recent years the sometimes forcible relocation of Tibetans from traditional communities to new housing developments has contributed to dissatisfaction. Several protests in Tibet in the late 1980s and early 1990s were violently suppressed by the Communist government and martial law was imposed in 1989. Demonstrations against Chinese rule have nevertheless continued, and other countries have increasingly raised the issue of human-rights violations in Tibet and pressured the Chinese government to moderate their stance in the region. Religious tensions were again underscored in 1995 when China rejected the boy who was confirmed by the Dalai Lama as the new Panchen Lama and forced the selection of a different boy and in 2000 when the 14-year-old Karmapa lama fled Tibet for India. Significant new protests and riots erupted in Tibet and among Tibetans in neighboring provinces in 2008 and to a lesser degree in Tibet in 2012. See N. Barber, From the Land of Lost Content: The Dalai Lama's Fight for Tibet (1970); J. MacGregor, Tibet: A Chronicle of Exploration (1970); R. A. Stein, Tibetan Civilization (tr., rev. ed. 1972); D. Snellgrove and H. Richardson, A Cultural History of Tibet (1980); T. W. Shakabpa, Tibet: A Political History (1984); M. C. Van Praag, The Status of Tibet: History, Rights, and Prospects in International Law (1986); M. C. Goldstein, A History of Modern Tibet (3 vol., 1989–2013); T. Shakya, The Dragon in the Land of Snows (1999); L. B. and S. Halper, Tibet: An Unfinished Story (2014); T. Woeser and W. Lixiong, Voices from Tibet (2014). (in Tibetan, Bod), a land in Central Asia, in the Tibetan Highlands. Tibet is traditionally divided into the Dbus-Gtsang (central and western Tibet), A-mdo (northeastern Tibet), and Khams (eastern and southeastern Tibet) regions. Administratively, Tibet is divided between the Tibetan Autonomous Region and the neighboring provinces of the People’s Republic of China, where several autonomous districts and cantons have been formed. 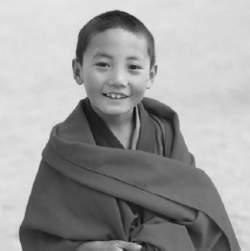 Buddhist monks in Tibet are taught from a young age the importance of dreams and the stages of sleep. In Tibet it is believed that various deities and demons produce dreams. Various Buddhist tantras (texts dealing with techniques and rituals, including meditative and sexual practices) agree auspicious dreams that come true indicate the approach of a tutelary (guardian) deity and success in the meditative process, whereas bad dreams indicate that both the deity and success are far away. Among auspicious dreams, sunrise and the scattering of darkness indicates happiness with oneself and one’s country. Dreams of hearing tales of praise while surrounded by a group of servants bode well for moving upward in society. Among bad dreams, a house that caves in or is ruined by fire reveals fears for occupants of the house. Buddhist tantras assert that a subtle energy passing up and down the central channel of the body generates the four states common to the Upanishadic tradition of waking, dream, deep sleep, and “the state beyond the first three.” The production of an artificial dream state, often called “purifying or exerting the dream,” is very common in the Buddhist tantras. Tantric manipulations of the dream state aim to mix the states of dream, deep sleep, and waking to attain the fourth state. These techniques are practiced especially by Tibetan lamas. Lucid dreaming, which is the awareness of dreaming while in the dream state, is discussed in a number of ancient Tibetan Buddhist texts, and its teaching is one of the six yogas attributed to the Indian tantric Buddhist teacher Naropa. The teacher Marpa introduced the six yogas, including lucid dreaming, to Tibet in the eleventh century. The six yogas of Naropa are (1) heat yoga, the creation of bodily heat through yogic practices; (2) the illusory body, in which yogic postures and visualizations show that all phenomena are like dreams and are void; (3) lucid dreaming; (4) the clear light, in which some practices are initiated during wakefulness or while dreaming to achieve the experience of clear light; (5) the death state; and (6) the consciousness transference, in which instructions are given to transfer one’s consciousness to divine realms or into a living or dead body. Tibetan lamas do not consider lucid dreaming itself to be a form of meditation, but rather a means of accessing the dream state to learn the doctrine of illusion, to create buddhas to listen to, or to practice meditation in the dream. The ultimate aim of meditation is to achieve nirvana, the transcendence of one’s awareness of individuality and liberation from repeated rebirths (reincarnation). El Misterio d'Elx, or the Mystery Play of Elche, is a medieval drama about the death and assumption of the Virgin Mary that takes place in August on the Feast of the Assumption in Elche, a town in Valencia, Spain. The first part of the play is performed on August 14, the day before the feast, and it deals with the death of the Virgin and the ascension of her soul to heaven on a throne, or araceli, carried by five angels. In the second part, performed on August 15, the Virgin is buried and the Gate of Heaven opens. The araceli descends a second time and takes the Virgin away. She is crowned at the heavenly portal while organ music plays, bells ring, and firecrackers explode. The mystery play is performed from a raised platform in the sanctuary of the Church of La Merced. It is considered by many to be one of Spain's greatest religious dramatic survivals, and it is believed to date back to the early 13th century. Originally performed by a devil-dancing cult to drive out the old year along with its demons and human enemies, this annual dramatic presentation was known to Tibetans as the Dance of the Red-Tiger Devil and to Europeans as the Pageant of the Lamas or the Mystery Play of Tibet. Under Buddhist influence, it was seen as symbolizing the triumph of the Indian missionary monks, led by Padmasambhava ( see also Hemis Festival and Paro Tshechu), over pagan devils, and more recently, it has been changed to represent the assassination of Lang-darma, the king who tried to rid Tibet of Lamaism. Despite its many transformations over the years, however, the play continues to retain the devil-dancing features of its earliest form. It is performed on the last day of the year in the courtyards of Buddhist temples or monasteries and continues for two days. A group of priests in black miters is confronted by one group of demons after another, which they manage to exorcize. On the second day, a dough effigy representing the enemies of Tibet and Lamaism is dismembered and disemboweled. Pieces of the effigy are thrown to the audience, who eat them or keep them to use as talismans. The play is followed by a burnt offering and a procession. Tibet House, 1 Culworth St. Speaking to ANI, Thomas Buchli, President of the Swiss Tibetan Friendship Association, said, "The UN should send a special repertoire to look into the human rights situation in Tibet. The Tibetans looked towards an acknowledgement of Tibet as an independent country, which they achieved. Knaus demonstrates that low-level American covert operations in Tibet were motivated by a desire to contain Chinese communism rather than a push for Tibetan independence. Free Tibet and Students for a Free Tibet both insist that they will be unrelenting in their efforts to convince the hotel group to pull out of Tibet. The history reveals that it was during the reign of Mao Zedong, religion preaching were banned and harsh laws were enforced, these Muslim Tibetans made a request to Indian Embassy in Tibet about their being Kashmiri in origin. The company said, 'Everything we offer in the new Tibet group tour aims to meet all the needs of our clients. He had a 7-year-old son and a 5-year-old daughter, according to Free Tibet. The shutdown also coincides with the Saga Dawa festival, which celebrates the Buddha's birth and draws many Buddhists to Tibet. En un protongado periodo antes del 1951, el Tibet era una sociedad de servidumbre feudal con su extremo atraso economico y promedio de vida de 35. Air China also announced it has acquired a stake in Lhasa-based startup Tibet Airlines. The Chinese banking regulator has allowed Bank of Communication (BoCom) (SS: 601328) to acquire a stake in Bank of Tibet. For thousands of years, Tibet was the buffer that kept India and China geographically apart and therefore at peace.